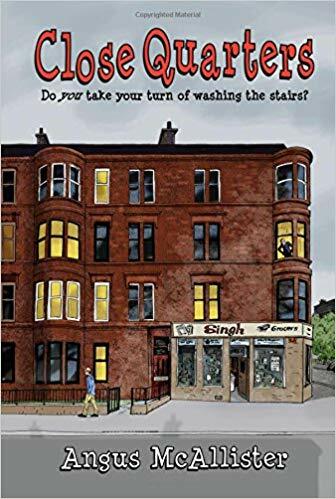 Walter Bain is the self-appointed dictator of the tenement at 13 Oldberry Road in Glasgow’s cosmopolitan West End. For 35 years Walter has imposed his self-styled ‘family values’ upon his neighbours with rosters for cleaning the stairs, a regimented order on noise, and timetables for the movement of wheelie bins. While most of his neighbours appreciate that there needs to be co-operation so that the flats stay in good order, it is Walter’s bombastic approach that rubs everyone up the wrong way. Even the police and council are not exempt from Walter’s badgering with his persistent nuisance calls. Walter is like a terrier with a bone and no one is capable of standing up to his relentless tyranny. So when Walter is found dead everyone breathes a sigh of relief.